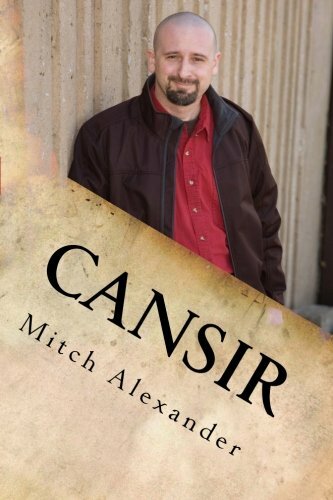 CanSir: A Backward Path by Alexander, Mitch: CreateSpace Independent Publishi 9781468121841 Paperback - Gardner's Used Books, Inc. This is a memoir about my cancer journey. It's unlike any story that you have ever heard. I believe that most people who survive cancer would rather not even talk about it. I not only talk about it I give you the history of my crisis. I included all the emotional constituents that led up to the dis-ease of cancer. The purpose of this book is to ask everyone to think about life. Not just how to survive it, but how to make it better by re-evaluating your relationship to people places and things. I have learned that we encounter dis-ease when we have inaccurate information in our conscious mind. As you read this story or parts of it that feel they apply to you, know that you are not in control, but you have the right and ability to make choices about your life. Until we give ourselves permission we cannot move out of a crisis situation. If I can move through the crisis you can too. We are Oklahoma's largest used bookstore. We have proudly served Tulsa and the surrounding communities since 1991. Bookseller: Gardner's Used Books, Inc.